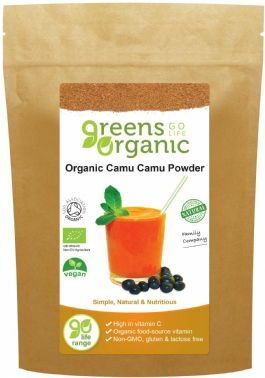 Organic Camu Camu are tiny berries from the heart of the Amazon rain forest. They are gently dried and milled in to a fine powder which has 80 times more vitamin C than an orange. Vitamin C contributes to the reduction in tiredness and fatigue and it increases the absorption of Iron.